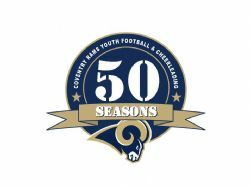 2010 Marks the 50th anniversary of the Coventry Rams Youth Football & Cheerleading Association. We are proud to has served thousands of Coventry's youth and the community for so many years. We look forward to serving the community for many years to come. Don't miss your chance to be a part of this historic season. Register today!